When she was just 10 years old, Kasandra de Kock had a heart transplant. Now, 17 years later, she’s expecting her first child. Here she tells her remarkable story. Since I was very young I dreamt about becoming a mom one day – but I never thought my dream would materialise. I was born with a defective heart: it was enlarged, the four chambers were switched around plus it had a leaky valve. After I had a stroke at age nine, I was placed on the waiting list for a heart transplant. I had to wait three months before a suitable heart became available. Everything had to fit perfectly – the size, blood type and connective tissue of the new heart. On 30 October 1996 I became the recipient of my new heart at the Red Cross Children’s Hospital in Cape Town. I had to learn to come to terms with my “new” body and everything associated with it – such as that I’d be on medication for life. I recuperated quickly and could again lead a normal life as a child – I returned to school and completed matric in 2006. After school I moved to Johannesburg to start life with my first love. Seven years later the relationship disintegrated and I moved back in with my parents in Orkney. In 2011 I had told doctors at the heart transplant unit that I wanted a baby and that I’d already tried to fall pregnant. They told me that any pregnancy would present a major health risk to me because it would put huge strain on my heart. I subsequently made peace with that and let go of my dream of becoming a mom. Then, nearly two years later, I found out I was pregnant. It came as a huge shock because I already knew how big a risk it involved. The doctors had also told me my heart medication would be damaging to the baby. I was referred to a gynaecologist in Bloemfontein for monitoring from month to month. I also regularly saw a cardiologist to keep an eye on the risks of pregnancy for my heart. Because it was an unplanned pregnancy I initially wondered if I wasn’t perhaps dreaming. I was terrified in the beginning. It’s my first baby and it’s definitely also going to be my last. 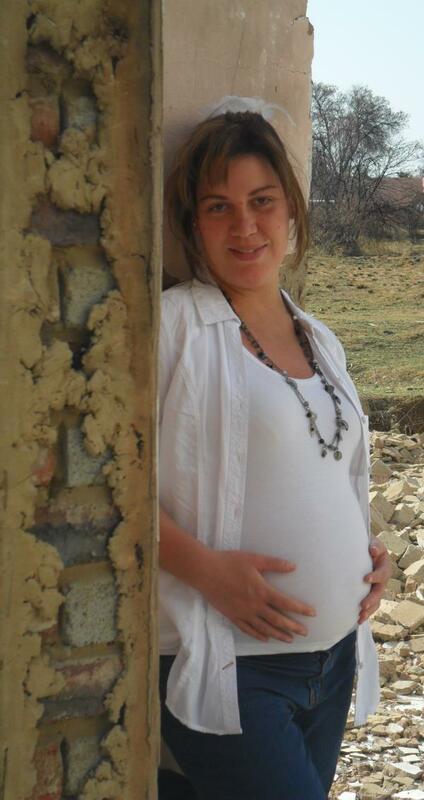 Now I’m already 20 weeks pregnant and the baby, a little boy, is expected to arrive on 6 February next year. So far Lucian Maxwell (I’ll call him Max) seems very healthy and the pregnancy is going well. My gynaecologist and cardiologist both have recommended I continue exercising until I’m eight months’ pregnant. I eat healthily and five days a week I go to the gym to do spinning. 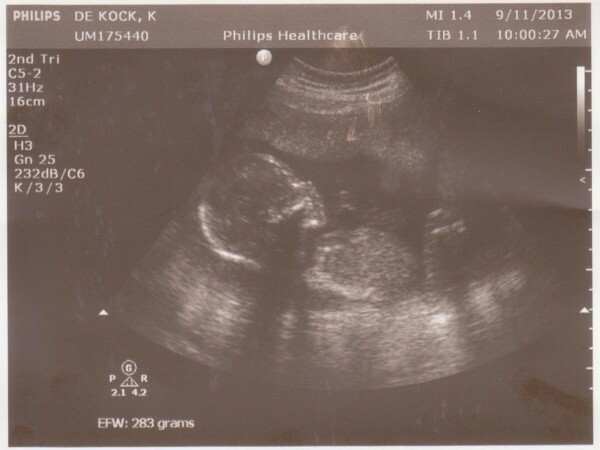 Kasandra's 18 week scan shows a healthy baby boy. I’m deeply grateful to all the people – all the way back to my heart transplant and now also with the pregnancy – who’ve stood by me and supported me: Doctors, nurses and medical staff. Without my parents’ support this journey of childbearing would’ve been so much tougher – thanks for walking the road with me. To me the pregnancy as a whole is a challenge and a new beginning. To bring a child of your own into the world simply is a miracle from Above. I believe there’s a reason for everything – God wouldn’t have given me a baby if He didn’t know I could do it. I was blessed to have had a second chance at life and now again to bring my own flesh and blood into the world. Now I also know the meaning of womanhood!